Vote for Trail Improvements in Roxhill Park! UPDATE 8/16/18: Department of Neighborhoods has announced Roxhill Park a Grant Winner! Your Voice Your Choice is the City of Seattle’s participatory budgeting program, where we can vote for top projects in each district to be funded. Your Voice Your Choice voting is now open, with another opportunity to support our shared community on the list of potential projects to fund: trail improvements and other upgrades in Roxhill Park! Vote here. You will need a mobile phone that can receive texts to vote online. Once you have confirmed your phone number with a code, you can go to District 1 on the map, then select Roxhill Park Trail Improvements (project 17-006) from the list by July 16th. Imagine safe new paths through the bog, with some restoration of old work and clearing of areas that are overgrown. We have the chance to increase park use and improve our experience, and this can be our start. If you weren’t aware, the park has a new group taking on the challenge of getting activities and events we can all enjoy in our shared community resource: the Roxhill Park Champions. Adding new features to help with wayfinding and engage users of the park can help extend this work and improve the park for all of us. 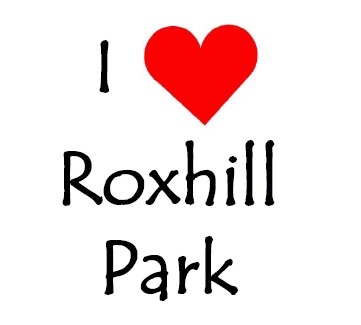 Previous Post Roxhill Community BBQ – Let’s keep the love for our Park going! Next Post Join us 8/24 for our first Outdoor Movie Night!